RHome‘s July/August issue will be hitting newsstands soon. I’m very excited about this issue because a lot went into it. 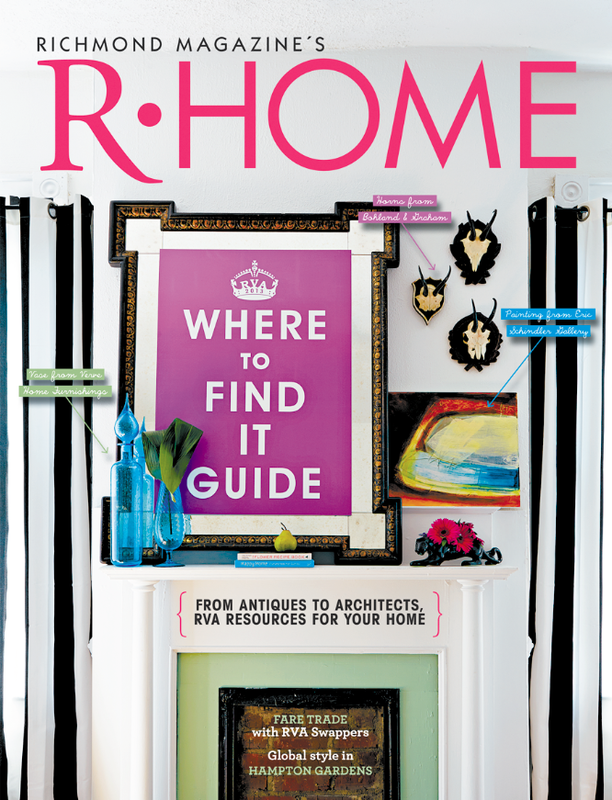 RHome’s annual Where To Find It Guide is in the July/August issue, which is a comprehensive listing of all things home and garden related in Richmond. From architects and art to wall coverings and windows, RHome has listed businesses and people who can help you with your home. 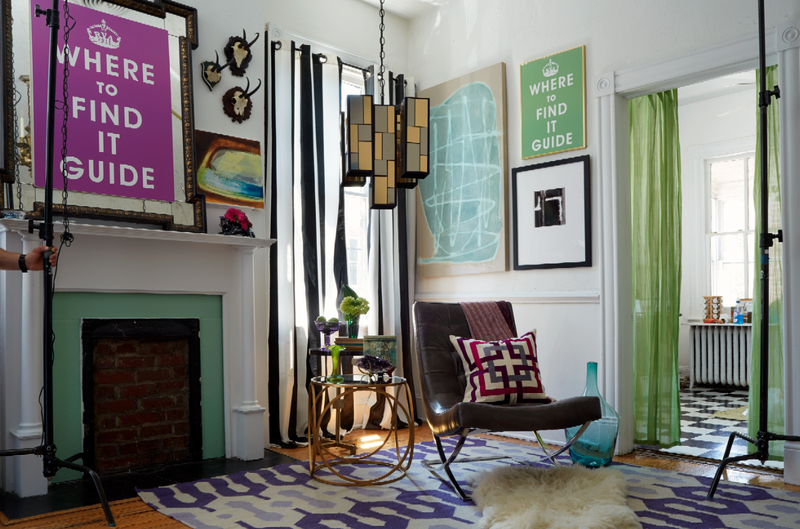 For the cover shot and interior shot of the Where To Find It Guide, we styled a studio vignette with furniture and decor from all over Richmond to show the eclectic mix of goods our city has to offer. RHome stylist Courtney Crane Dauer scouted the city and outlying areas for the vases, rugs, curtains, artwork and furniture that came together to create the cover. RHome’s art director V. Lee Hawkins came up with the cover concept based on the British typographical poster “Keep Calm and Carry On.” She took that idea and applied it to our Where To Find It Guide, changing up the text and adding an “RVA 2013” to the royal crown. Lee said that each year she designs RHome’s Where To Find It Guide she wants a fresh approach and always tells herself to “keep calm.” Her chill mantra inspired her to use the “keep calm” idea with our listings. Kip Dawkins was the photographer behind our Where To Find It Guide. His clients include Better Homes and Gardens, DIY Magazine, Martha Stewart, Washingtonian, among many other big-name publications. We were thrilled to have Kip help us capture this cover.